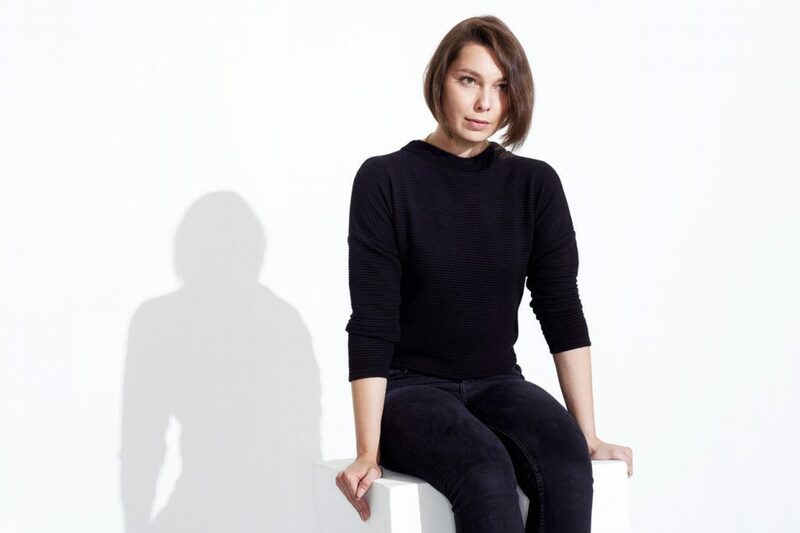 Anastasia Kristensen’s introduction to dance music didn’t come via 'the underground' – in sweaty clubs pumping repetitive beats – but through ballet, which she practiced as a child and picked up again five years ago. While the hard-edged, pulsating techno she makes now is a world away from the twinkle-toed elegance of Tchaikovsky, she can still trace a formative line to the involvement of listening to beats, spotting rhythms and identifying harmonics in her classical dance origins, which has organically developed to now inform her floor-primed productions. Growing up in Russia, Anastasia listened to a “strange combination” of Soviet post-punk rock, French mid-90s pop, which has huge in her homeland, and industrial bands such as KMFDM and Nine Inch Nails. After moving to Copenhagen in her teenage years, she got into underground dance music, initially exploring classic Detroit ghettotech, German techno, UK bleep and electro. In time this developed into an obsession with digging through the breadth of the electronic music spectrum. This passion shines through in her DJ sets, which move through an intoxicating, unpredictable array of records with powerful intent. She’s developing a fearsome reputation as a selector, recently heading out on a debut North American tour and playing regularly across Europe to rave reviews. Her exclusive Impact mix is filled with high-octane sounds, and is an exhilarating example of just why she is so highly rated. Check it out alongside a Q+A below. How did you get into dance music? Were there any clubs and nights that you first started going to that were seminal in the development of your interest? Or any particular records? My interest in music was sort of academic; I enjoyed the intangibles of it all: whether it be the history of genres, who made what and the pseudonyms they used to make it, and what drove them to make the music at that specific time. At some point I had an Instagram profile called @tunesofdetroit, as I simply thought it was kind of fun to provide some audio snippets with a little background information on the tracks I would post. In terms of going out to parties; that development came much later - the aspect of partying is newer to me than music literacy itself. One of the releases that really made an irreversible impression on me was Wild Planet’s ‘Headcleaner’ on Warp. It’s blissful in its clarity, yet carries a mysterious bassline and an emotional attachment to this track just never really left my heart. Additionally, as a ballet enthusiast I became a keen fan of classical and neoclassical works. Among the modern ballet performances, William Forsyth's (an American choreographer and dancer) late 80's production In the Middle, Somewhat Elevated made an especially huge impression on my perception towards dancing and musicality. It's a performance that is somewhat sharp: rough, full of attitude, change and disruption, paired with an equally brilliant score from Thom Willems. I get a serious case of goosebumps every time I watch this in motion. What was it about hard techno that you were initially drawn to? I think it is not just the genre itself. I am drawn to emotion, energy and sounds with character. Like, for instance, weird, shuffled percussion or a synth that’s been sent through some complex effects and modifications. The blend of certain percussion with a pitched synth is what rings true to me, and what makes it special. You could call it music with a “statement”, I guess. Whether it’s sassy or calm in its nature, if it has a statement, I’ll naturally respond to it.